What happens when 29 university students from Texas descend upon the Anglican United Church in McBride? A feast and lots of laundry. 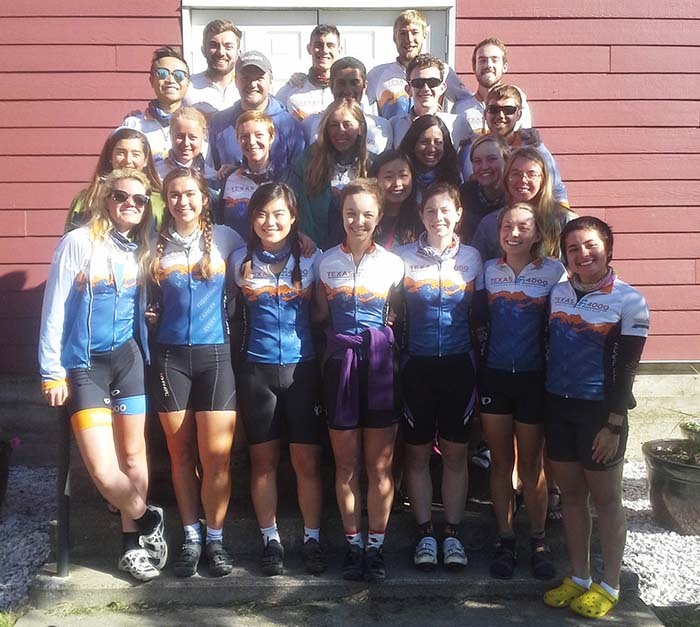 The tiny church hosted the Texas 4000 cycling group, and hosted 29 university students who had raised a substantial amount of money for cancer research. The cyclists were travelling 4000 miles by bicycle from Austin, Texas to Anchorage Alaska raising money and awareness for cancer. Eleanor Johnson was one of the organizers who helped make it happen. She said she wished she had beds for the hard working cyclists, but they were happy with a warm, dry floor and a safe place to leave their bicycles. The church prepared a hearty turkey feast and packed away the leftovers for lunches on the road. “They are Texans, with their ‘y’alls’ and ‘ma’am.’ We just feel good doing it because they appreciate it so much. They want to help with dishes and everything,” she said. A long list of volunteers help make the event happen locally. Johnson said one of the best parts of the event is the gratitude and kindness expressed by the young Texans. Johnson said the group dedicated each day’s ride to a cancer victim. Johnson thanked the volunteers, including Betty Ann Mullen, Sarah Hamilton, Irma Brownlee, Betty Long and Mike Moseley as well as Edward and Anika Lukawitski who shuttled many loads of laundry. Johnson said the three turkeys were donated and deep fried by Mike Moseley and her husband Robert Johnson of Real Tree Wood Products. McBride Husky donated ice cream treats to the cyclists. Read the original article by Andru McCracken, HERE.